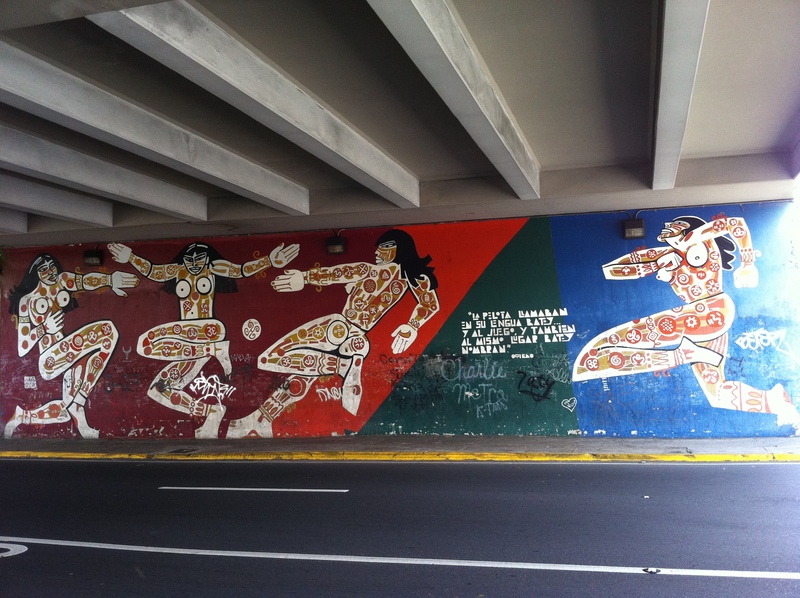 Classic murals depicting Tainos playing ball. Men on one side of the road, women on the other. Parada 18: The underpass where Condado Avenue becomes RH Todd Avenue as you walk to the Museum of Contemporary Art and Parada 18 from Condado.